Being a notable Manufacturer, Exporter and Supplier, we are engaged in making available the best quality Anti Allergic Tablets for clients. 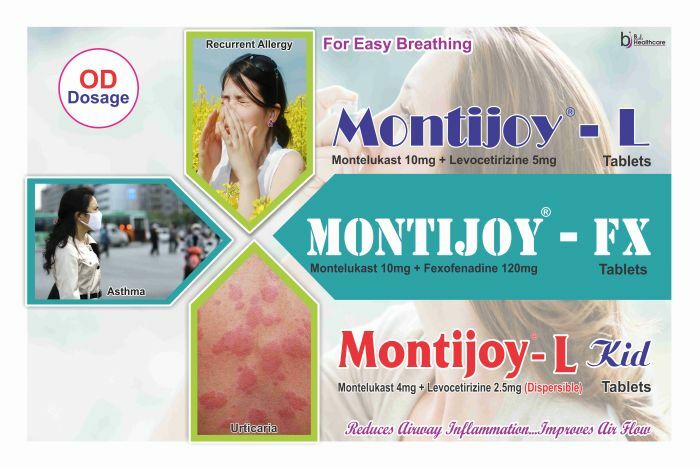 Anti Allergic Tablets such as Montijoy-L Tablets and Nosicold Tablets are known for providing great relief in the problem. We are capable of taking up bulk orders of Anti Allergic Tablets.